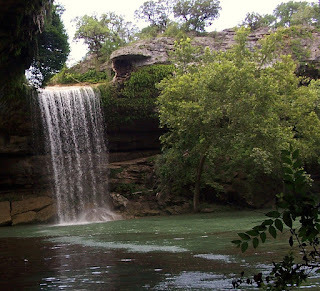 This is a waterfall near Austin, TX. See more photo hunt participants here. ooooh very pretty where in Austin is that? Lovely. I wish I could be there. Looks like a cool, lovely spot that I’d love to be near right now. It’s HOT in So Cal this weekend!!! My water post is at Small Reflections. How pretty is that?!?!? WOW - love how you captured the water cascading down...beautiful! wow very pretty! Gorgeous picture.